Every year in the United States, hundreds of people are killed and thousands injured because of the weather. Dangerous weather can take many forms, ranging from violent tornadoes to crippling winter storms. With the notable exception of hurricanes, Iowa can experience any of these dangerous phenomena. 1. KNOW THE HAZARDS - Be aware of the hazards that you might face during a weather event. 3. PAY ATTENTION - Be aware of all watches, warnings, and advisories affecting you. 4. HAVE A PLAN TO STAY SAFE - Think about it before it happens and be ready to act to survive. 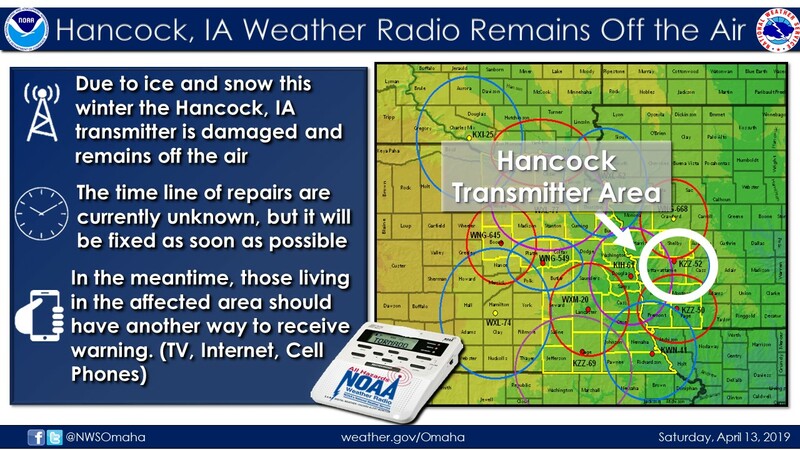 Interested in visiting the NWS in Des Moines or having a staff member give an outreach presentation? Visit Our Office Page and select the "Tours & Outreach" tab to find out more information and to schedule a tour or talk. Want to become a severe weather spotter? Visit the NWS Des Moines Spotter Page to view current severe weather forecasts, read online training materials, and find when the NWS will be conducting a spotter training class near you!